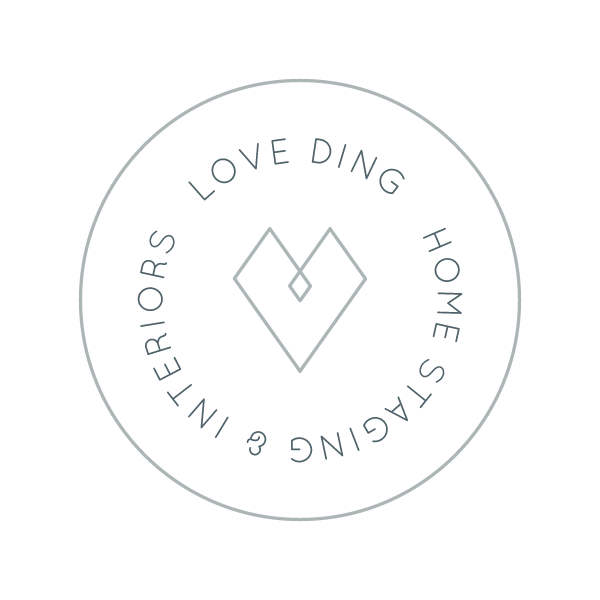 Starting Love Ding was my very first introduction to small business. And I can honestly say—like most other small business owners—that I didn't quite know what I was getting myself into at the time. But I'm so grateful for this journey! I couldn't have gotten to where I am today, though, without the support of the local community. So I always try to make a conscious effort to show my support to other small businesses! I love browsing local shops because, in a way, I feel like I get a glimpse into the owner's mind—who they are, their style, their passions. Knowing the time and effort that goes into establishing a business, it's such a great feeling to know you're helping support someone else's BIG dream! So, I thought I'd take a quick moment to pay it forward a little on this edition of Links I Love. This post features great products I've discovered recently from a few of my favorite small businesses! I discovered Darcy of Grateful Home on Etsy, and commissioned her to make custom cushions for my built-in dining room bench seat in my new home. I couldn’t be happier with how they turned out! She’s seriously so talented! I first met Katie at a Paper + Craft Pantry pop-up shop and was so drawn to her art style. It's minimalist. It's geometric. It's art nouveau. All things I LOVE! I currently have one of her prints hanging in my master bathroom, and it makes me so happy to look at every day. You should definitely check her out! If I'm over grabbing a soup or smoothie at Soup Peddler, you can guarantee I stop in The Herb Bar to check out their latest treasures. The staff is super knowledgeable about everything from aromatherapy to herbs, and they have a great selection of healing gemstones and crystals. Y'ALL! These hats are so dang cute—Frankie Jean just gets me. I've even been thinking about getting a doormat that says “Y’all,” since my friends poke fun at me for using the phrase so often. 😂 What can I say?! I'm a Texan, born and raised. I have one of Blank Space Studio's wooden art pieces hanging above my desk, and I love the warmth and neutrality it brings to the space. The geometric design adds a modern look, while the natural wood tones bring in a cozy vibe. It strikes such a good balance, and is—quite frankly—mesmerizing. I can’t get enough! I’m obsessed with wearing oversized frocks like this one. And the fact that Miranda Bennett Studio is a local brand committed to sustainable, USA-made apparel makes this piece even more to obsess over. They use all natural, plant-based dyes and have styles with really modern lines. ARO is one of my favorite places to stop by when I find myself over by Craft Market on East 5th. The last time I stopped by I spotted this onyx beauty! Recently I've been drawn to accessorizing with black stones, and this dainty piece looks stunning when layered with several other bands, and all by itself. A win-win, if you ask me! This indigo bubble ornament is such a fun way to add hippie Texas vibes to any space. It also makes for a perfect gift and keepsake for anyone making a visit to the Lone Star State! My goal is to collect the entire set of this Japanese-made dish ware. This line of enameled carbon steel pots is carried at Kettle & Brine, a local Austin shop off East 12th with a gorgeous selection of craftsman-made, sustainable kitchen goods. I've already picked up the white kettle and keep it showcased proudly on top of the stove because, well, its just that cute. I worked closely with Natalie last summer to create a creative pegboard spruce for her office, and continue to be inspired by the work she's doing over at Mint & Maple. I even started "doodling my day" on my iPad because of her new Art Journal Kit. It's full of fun + creative prompts, and all the tools you need to start your journaling journey!